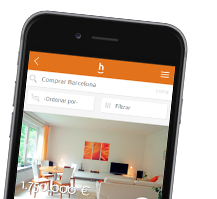 We will email you the latest properties and property developments posted on habitaclia.com that match your search preferences. Simply and quickly, you can save as many alerts as you like and filter them using your search criteria..
You can also unsubscribe it simply when you no longer need them. Perform a search that matches your preferences, using the maps and filters provided for you..
Once you are in the list of properties you can register a list alert.. The warning will be recorded with the characteristics of the current list, filtered with you selected criteria. You can also register an alert from an ad. Once you are in the ad of the property you are interested in you can register a property alert..
We´ll email you the latest changes for the property selected..
Press the ´Create alert´ button and the alert will be registered and active. The system will ask for an email address where alerts can be sent to. 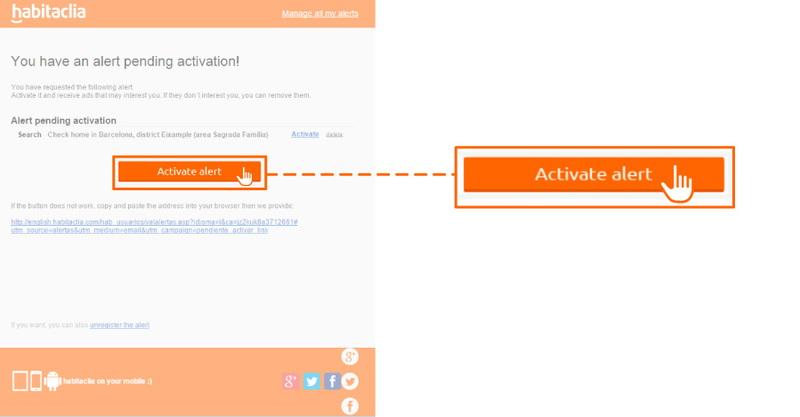 And you will receive an email link to activate the alerts..
And remember, you won´t receive the alerts unless you activate them using the email link..